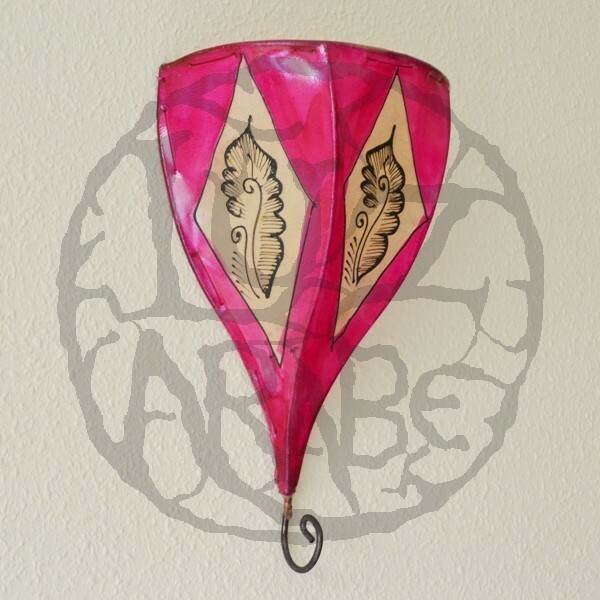 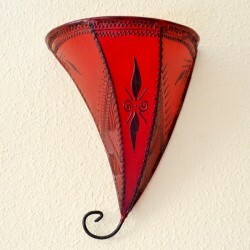 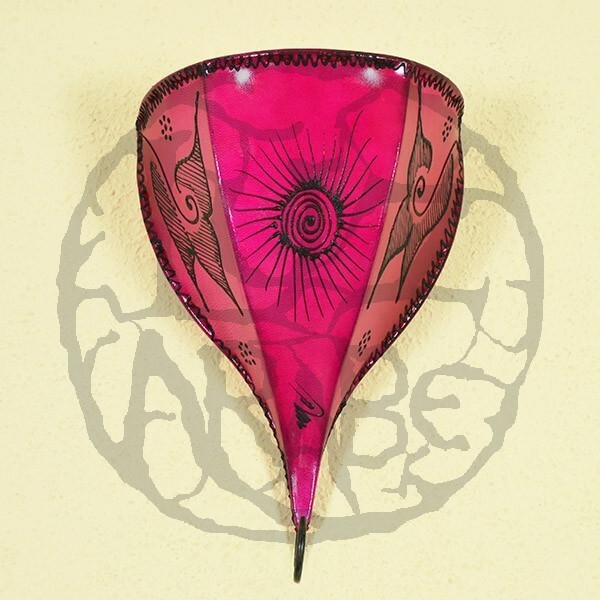 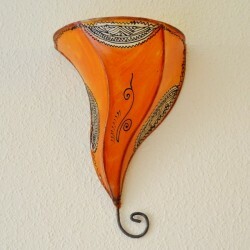 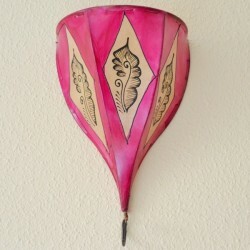 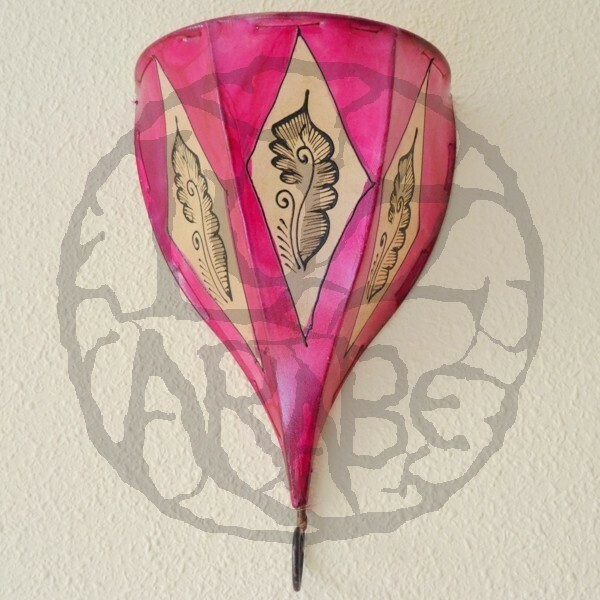 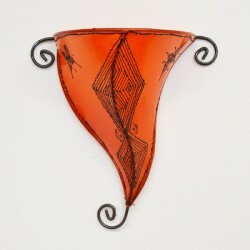 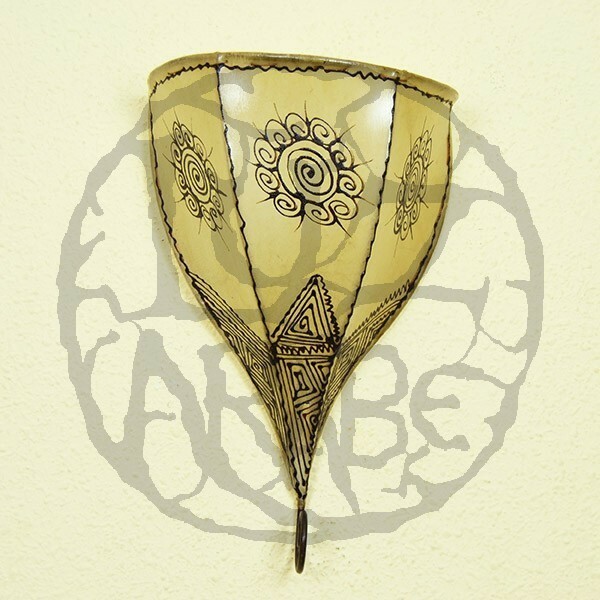 Sconce of of forge covered with leather of cow, goat or lamb treated and hand painted with henna. 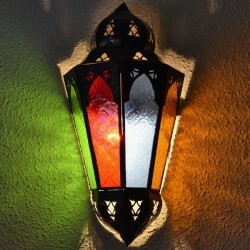 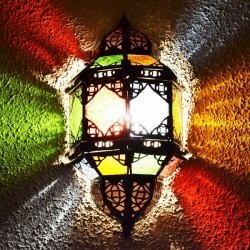 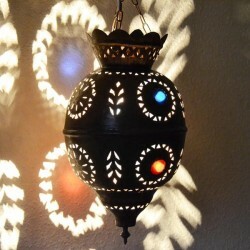 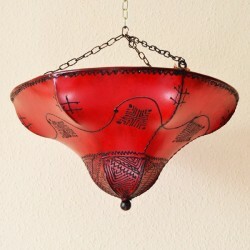 The package includes handmade Sconce of forge and Moroccan leather. 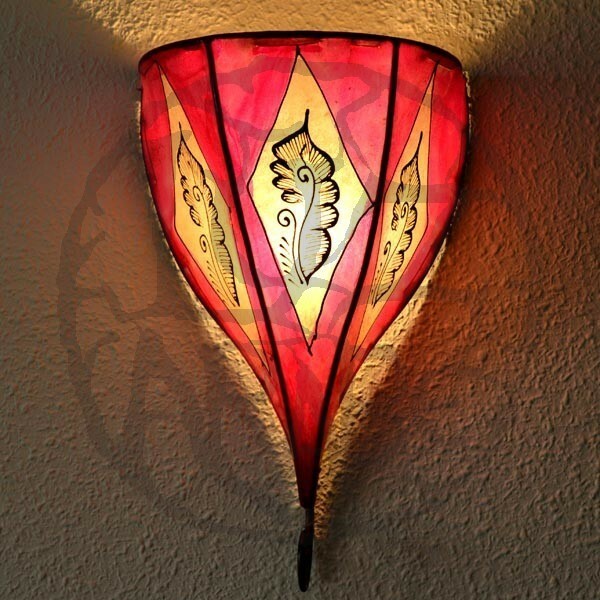 This type of wall lights is designed to hang above a light source fixed to the wall, and has no support for the socket itself. 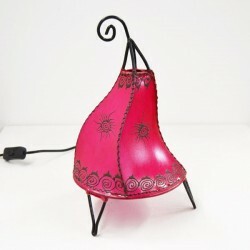 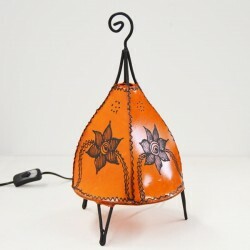 Preferably, use a energy saving lamp to avoid the heat that can damage the leather.